The Levante Port Authority which manages the port does not mention parking at the Port of Bari. ParkVia does deal with this by offering the possibility of booking a car park at the Port of Bari with no booking fee. The car parks we offer are secure and insured and mindful of customers' requirements. By pre-booking, parking costs are lower than those on site and by receiving notification of a customer's arrival it is possible to provide a better service such as a prompt shuttle service to the Port. The shuttle is absolutely free and frequent. The car park at the Port of Bari we promote also offers the possibility of booking large groups/organised travellers departing by bus or coach. The Port of Bari is considered to be the European gateway to the Balkans and the Middle East. Many fascinating places can be visited by the cruise ships sailing from this port. 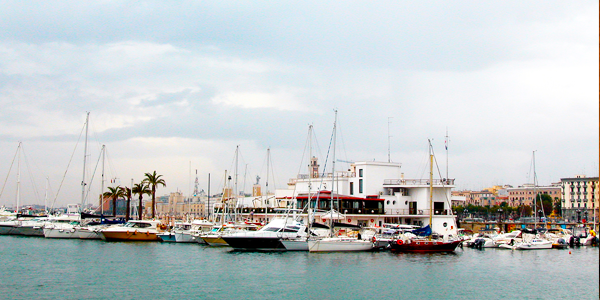 The Port of Bari is an important passenger stop with considerable ferry and cruise ship traffic. The main routes include Greece, Croatia, Albania and Montenegro. The Port of Bari comprises several docks: Molo San Vito and Banchina Dogana handles ferries heading to destinations outside Europe, while Darsena di Ponente and Molo di Ridosso handle ferries heading to destinations within the European Union as well as cruise ships. La Banchina deposito Franco is the only dock dedicated solely for cruise ships.